Terrafirma has been delivering highly effective and efficient temporary roadway systems across the UK since 2001. 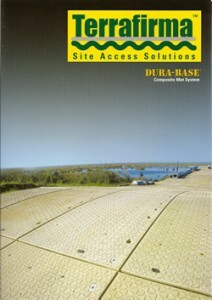 Based in Oxfordshire, Terrafirma is the sole UK distributor of the Dura-Base mat system. The business has gone from strength to strength with year on year growth – a sure indication of the trust and respect that Terrafirma now commands in the temporary roadway industry. 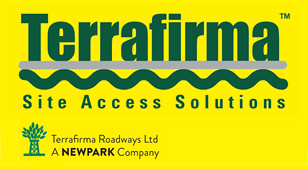 Balfour Beatty, The National Grid and The Royal Parks are just some of the companies who recognise the unparalleled professionalism of the Terrafirma team and the efficiency of the Dura-Base product, to provide site access and temporary roadway solutions. Terrafirma takes its environmental responsibilities very seriously and Dura-Base mats are kinder to the environment. There is minimal damage to land and sensitive surfaces, recovery to grassland and crops is swift. The company’s new fleet of trucks uses clean engine technology which incorporates the Optimax computerised fuel monitoring system. Whether you need a long-term road access solution, or a temporary roadway for an outdoors event, Terrafirma Roadways always puts your needs first. Terrafirma Roadways has an excellent safety record, and is committed to providing you with a first class solution at competitive prices. Today, Terrafirma Roadways is the sole UK distributor for Dura Base mats, manufactured in the US by Newpark Mat and Integrated Services. The company provides a first class temporary roadway service to companies across the UK, such as The National Grid and Balfour Beatty. To find out how Terrafirma can help your organisation with temporary roadways or working platforms, contact us today on 01235 868835 or click here to email the team.